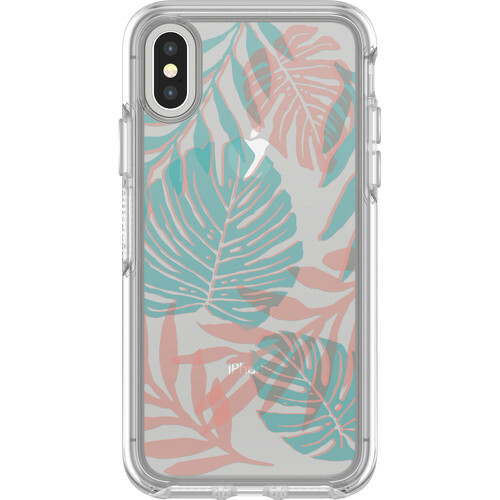 Personalize and protect your iPhone X/Xs with the Symmetry Series Clear Graphics Case from OtterBox. 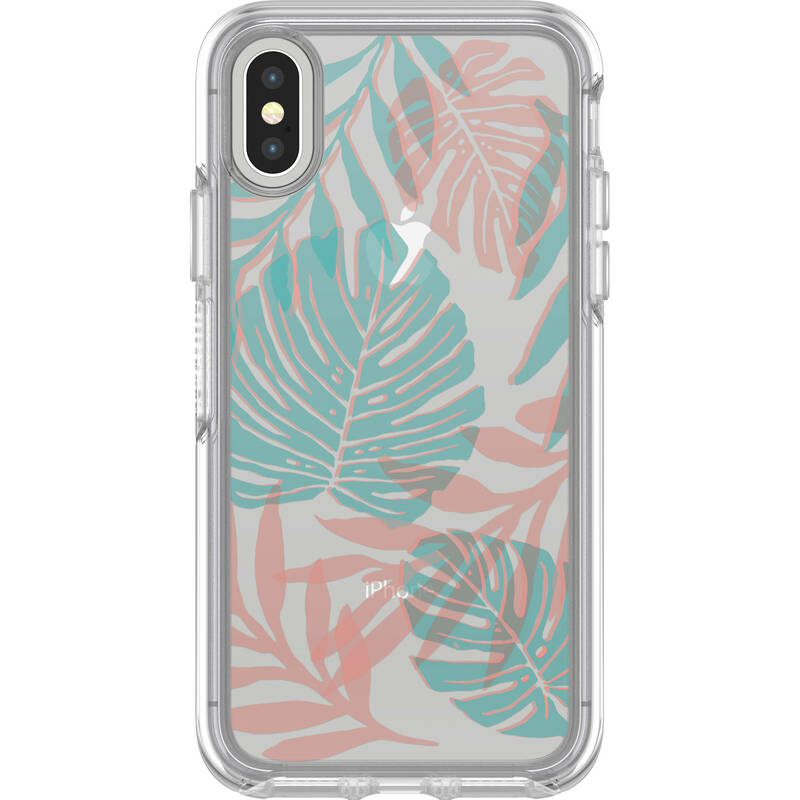 This case features a slim profile and clear body with an eye-catching Easy Breezy design. Construction incorporates a synthetic rubber interior and an external polycarbonate shell for everyday scratch- and shock-resistant protection, and a raised beveled edge keeps the touchscreen safe in case of falls. The case slips on and off easily for quick and convenient installation or removal. Box Dimensions (LxWxH) 7.85 x 4.4 x 0.85"